Fully assembled, ready to bolt in. Smooth ball-bearing and roller-bearing movement. Heavy-gauge steel with powder-coated finish. Trays lock securely in stowed position. Safety latch holds tray fully retracted or fully extended. Holds 1 to 8 batteries. 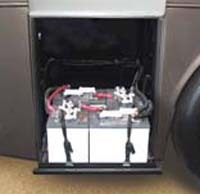 Inside dimension is for battery configuration. Outside dimension is for compartment fit. 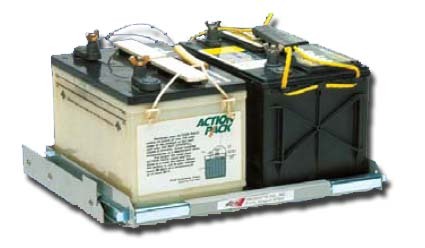 For Battery Trays, measure outside configuration of battery. Select tray with an inside dimension that fits. verify that the outside dimension will fit the compartment. 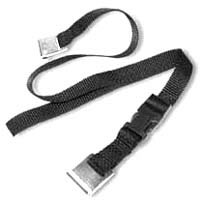 Battery strap available for replacement. Solid metal hooks at each end and adjustable buckle for easy access.